Colourfence is a garden fencing product with a 25 year guarantee and can withstand winds up to 130mph. 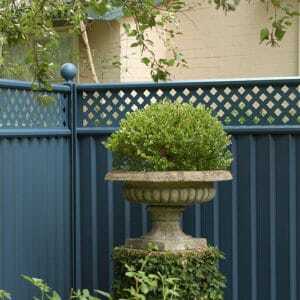 Colourfence started out in Australia and after great success, moved over to the UK. With over 50 franchises there's bound to be one close-by to you and if metal fencing is what you're looking for they could be right for you, check out the supplier finder on their website to find the nearest contractor to you.